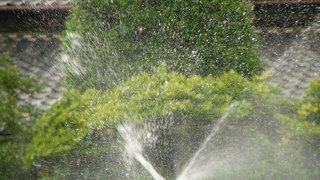 GEORGETOWN (KXAN) — Georgetown City Council is moving toward making a two-day watering schedule for irrigation systems and sprinklers permanent. City Council approved the first reading of amendments to two ordinances related to water conservation at its latest meeting. The city will hear the second reading at its April 23 meeting. The ordinance applies to irrigation systems and sprinklers. Car washing and filling up a pool are still allowed any day of the week. The schedule will help balance Georgetown's demand on the water system and is based on the last digit of customers' street address. The watering schedule puts a ban in place from noon to 7 p.m. each day and every Monday. Violations of the irrigation schedule may result in fines. Georgetown will also implement a Drought Contingency Plan that will enact additional watering bans when drought conditions are more severe. This plan will call for a mandatory one-day per week watering schedule. GEORGETOWN, Texas (KXAN) — Not long after Lauren Bednarz was born, doctors noticed a problem with her heart. She was missing one of two ventricles that pump blood throughout the body, the result of congenital heart defects, and required two open-heart surgeries by the time she was 2 years old. "The surgeries that I had rerouted everything," she said, "where just the left side of my heart works." GEORGETOWN, Texas (KXAN) — A Georgetown 16-year-old got the surprise of a lifetime and was moved to tears in front of family and friends on Good Friday. Daniel Alcantar and his siblings lost their parents back in March of 2011 in what his sister described as them being in "the wrong place at the wrong time." They were heartbroken, but a lot of what got Daniel through those hard times was memories of his dad in his Ford truck. "I just remember going to our favorite little corner store," Alcantar said. "I would be in the passenger seat with him he would be playing his CD's and the music he had back in the early 2000s. It was good times listening to T-Pain and all them." HUTTO, Texas (KXAN) -- A baseball scouting organization plans to make Hutto its new home in an $800 million development. The City of Hutto announced Thursday night that Perfect Game will move its national headquarters there. The organization will build the city's first indoor sports and events center that will seat 13,000 as well as a convention hotel, according to a new release. The development will be located on a tract of land by U.S. 79 and County Road 132, east of Fritz Park.